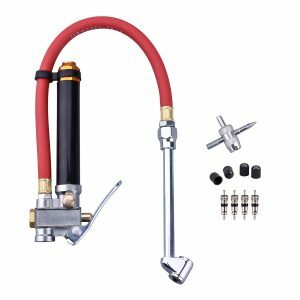 Wynnsky's 3-in-1 Tire Inflation Gun with Dial Gauge is perfect to use on cars, trucks, SUV's, trailers, motorcycles, and most other valve stem inflatables. 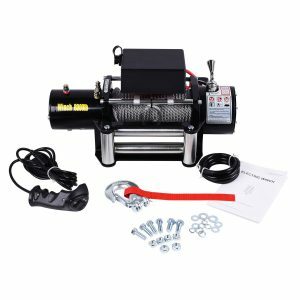 It is combined with an inflation gun, air chuck, and tire gauge for easy inflation for easy to use. A special air releasing switch also allows for air to be discharged when the pressure is too high. 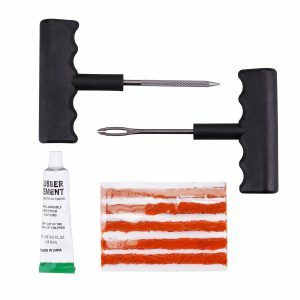 Simply squeeze the clip and position the chuck over any Schrader-type tire valve, release the clip to lock the hands-free chuck into place. 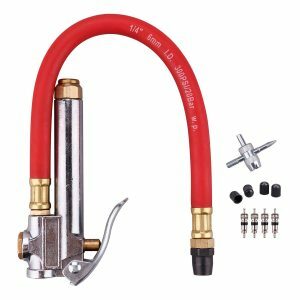 12-inch heavy duty flexible hose and 1/4″ NPT industrial quick plug for easier use. A storage case is easy and convenient for you to use and storage. 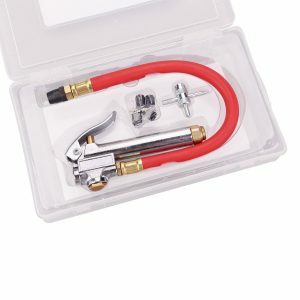 1 Piece 4-way tool, 4 Piece Valve cores, 4 Piece Plastic caps are all included in the case as a gift. 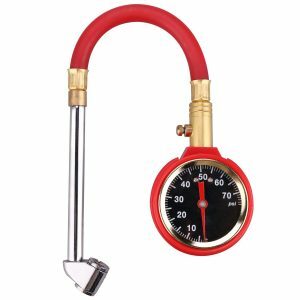 Wynnsky's Dual-Head Tire Inflator Gauge is ideal for industrial, home, or shop use. 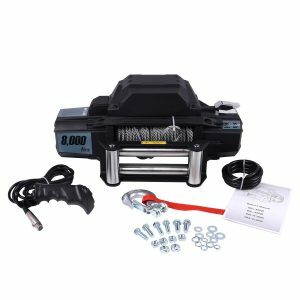 It has zinc cast alloy body with heavy duty brass internal parts, 6-inch chrome plated dual head chuck also included in the package. 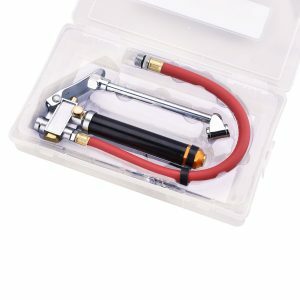 Magnifying bubble lens allows full view of the pressure scale and it has a 12-inch red heavy duty flexible air hose with a Standard 1/4 inch NPT female inlet. It provides you with easy and controlled inflation and comes with a 1-year warranty. 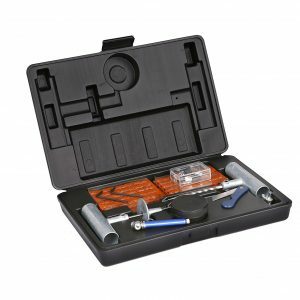 1 Piece 4-way tool, 4 Piece Valve cores, 4 Piece Plastic caps are all included in the case as a gift for you. Believe our tire inflator gauge will serve you for a long time! Tire pressure is important for vehicle performance and gas mileage. Using our Tire Pressure Gauge is the best way to dial in tire pressure. 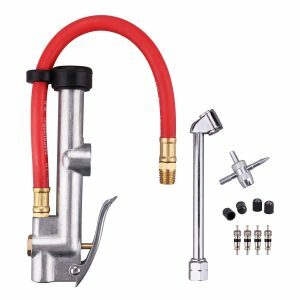 It has heavy duty steel construction with a reinforced rubber hose and longer internal brass joints to prevent air leakage. A special air releasing switch also allows for air to be discharged when the pressure is too high. 5-75 PSI measurement scale makes it a perfect choice for your car, motorcycle or SUV. The compact design with a storage case makes it easy to store, carry, and use. Drum Size: Diameter 2.5 inch * Length 9 inch. Kit comes complete with all wiring required for installation. 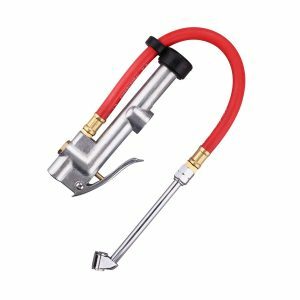 Easy to use pistol-grip style T-handles make plugging tires quick and effective. 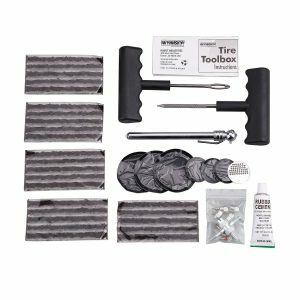 CarCoo Tire Plugs vulcanize to your existing tire for the least expensive and most effective means of repairing a puncture. Don’t wait hours for roadside assistance. 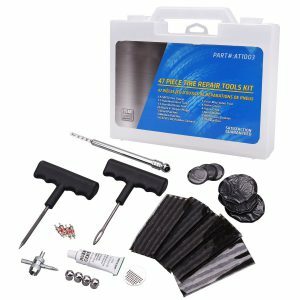 With this convenient tool in your auto repair kit, you can repair tire leaks wherever you are. A storage plastic box make it convenient to collect all together. 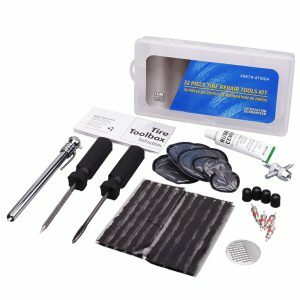 Flat tire repair for all radial, steel-belted and tubeless off-road tires. Ideal for cars, trucks, wheelbarrows and mowers.